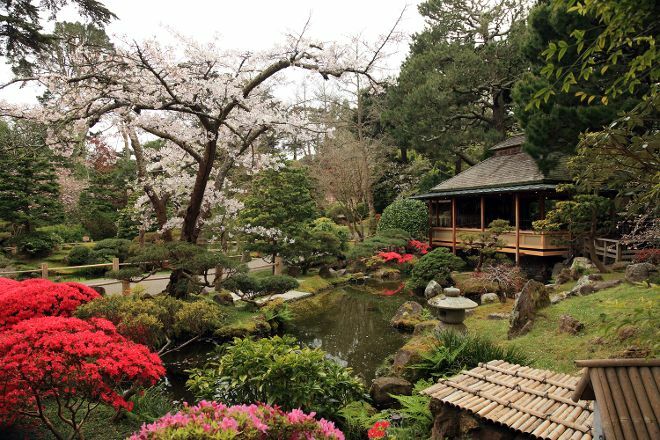 Originally constructed in 1894 for the World's Fair, Japanese Tea Garden represents the oldest garden of its kind in the country--a mainstay of San Francisco's Golden Gate Park. Spread out over 2 hectares (5 acres), the garden features quaint bridges, traditional pagodas, stone pathways, koi ponds, and scores of plants and foliage native to Japan. You'll find that the garden lives up to its namesake as well: Stop for a cup of traditional Japanese brew at the on-site tea house. The gift shop offers different blends and tea sets, along with all of the accompanying ceramic wares. Arrange to visit Japanese Tea Garden and other attractions in San Francisco using our San Francisco route maker site . The scenery is absolutely amazing. It was so beautiful and seeing it in person was way better than i expected. The landscape is very well maintained and is a very relaxing experience. There isn't too much space to walk around cause it did get pretty busy but it wasn't a big deal at all. It was $9 when I went and that's not too bad of a price considering how beautiful it is. It is a place I would love to go again when I am in San Fran. It's a beautiful face with a seen like feeling. Great place for photos with a breathtaking green background. There are a couple of pagodas that as know color to the place. The only downside is:- 1. Not sure why they have named it a tea garden because there are no tea plantations- it's just a regular albeit a beautiful garden 2. The 9$ entry fee seemed too steep - you can find such gardens in CA without having to pay through your nose.